Barnet 2 Morecambe 0, 16/12/2017. The Hive, League Two. 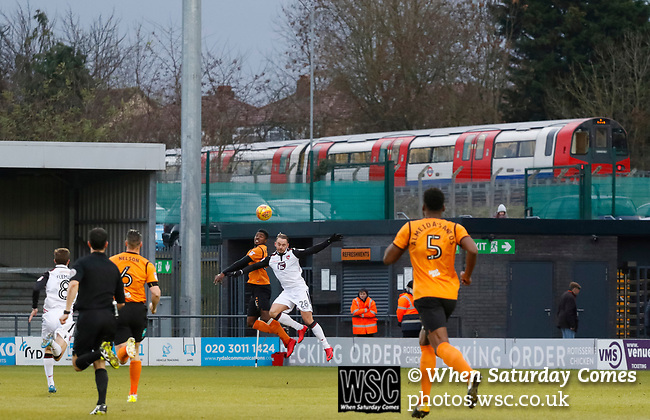 Adam McGurk of Morecambe wins a header as a tube train passes. Photo by Paul Thompson.